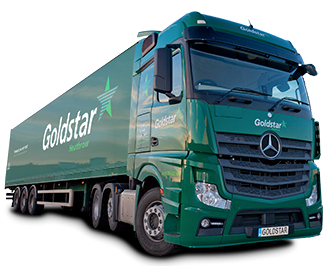 Goldstar Heathrow Ltd is one of only a few transport companies in the UK that has triple UKAS ISO & OHSAS certification. 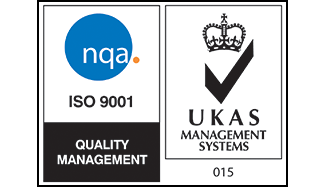 Our UKAS accreditations indicate that we have been externally assessed and found to have a consistency of approach in developing, implementing and improving the effectiveness of our management systems. 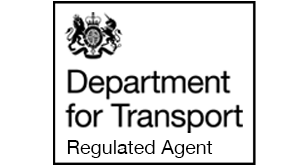 All of our staff are trained to DfT security standards appropriate to their job roles (at least to a formerly level D security level). We have been audited and meet all the requirements for the BRONZE Standard with FORS (Fleet Operator Recognition Scheme) encompassing all aspects of safety, fuel efficiency, economical operations and vehicle emissions. Our BIFA (British International Freight Association) membership strengthens our links to the UK air-freight industry and demonstrates our commitment to the pursuit of excellence and quality in the transport and logistics sector. We take our environmental responsibilities very seriously. As over 95% of our carbon footprint comes from our fleet, our focus is on increasing efficiency with the overall objective of reducing emissions and our impact on the environment. Our new Mercedes-Benz vehicles are fitted the latest drive-technology and Euro VI engines offering significantly increased fuel efficiency and emissions reductions - 99% in particulate matter, 97% in NOx and 5% in CO2. Euro VI is the most stringent emissions standard yet. Mercedes-Benz's latest Euro VI engined Actros & Atego trucks and Sprinter vans utilise all three of the latest eco technologies - SCR (Selective Catalytic Reduction), EGR (Exhaust Gas Recirculation), DPF (Diesel Particulate Filter) - to provide the lowest possible emissions, greatest fuel efficiency and lowest overall running & maintenance costs. We have chosen to purchase this latest range of Mercedes-Benz trucks for our new fleet expansion and refreshment programme - offering us significant improvements in emissions reductions and fuel efficiency. Our driver training includes both fuel-efficient driving and maximising the fuel-efficient technology in our latest Mercedes-Benz trucks. Our new enhanced vehicle tracking software helps us increase the efficiency of how we utilise our fleet and we consolidate under utilised transport in order to save miles, money and vehicle emissions, helping us promote sustainable logistical solutions. Our adherence to the ISO 14001 standard involves monitoring the environmental impact at our premises and provides evidence of continual improvement in our environmental management.